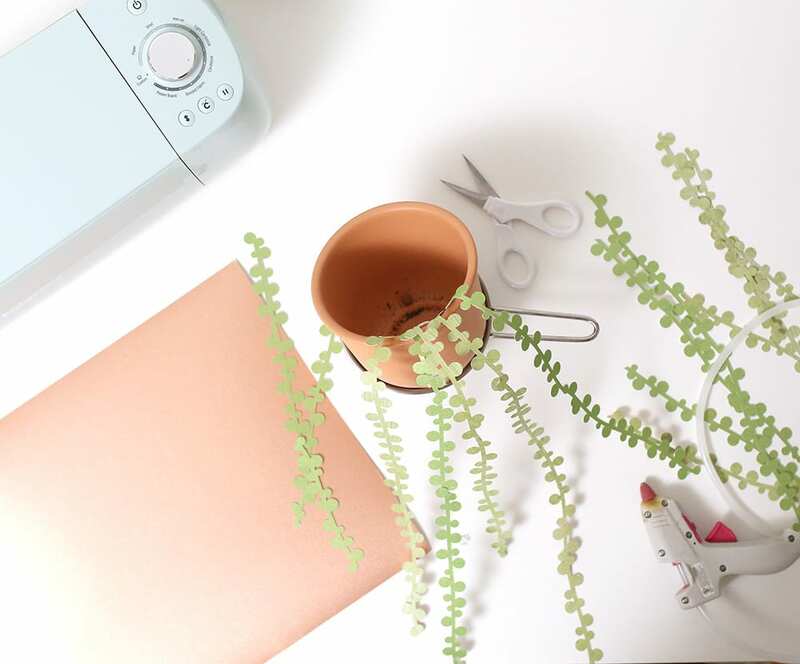 Make a beautiful, everlasting string of pearls DIY paper succulents with my free paper succulent template and your Cricut machine! 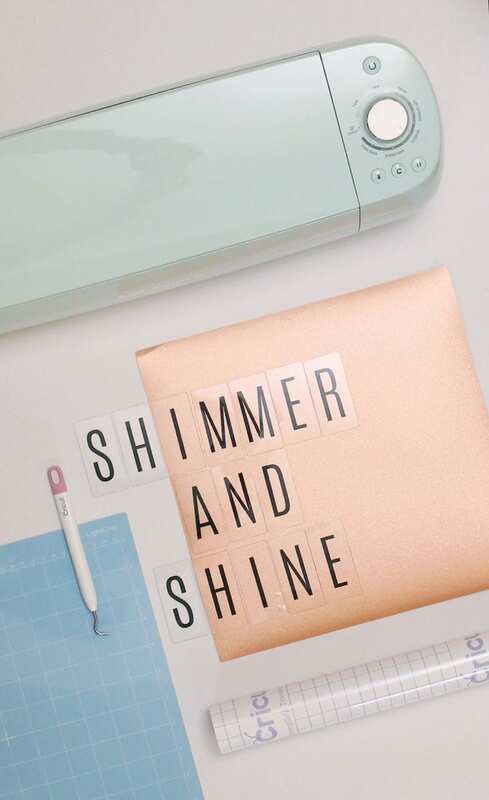 I have been compensated by QVC to showcase the Cricut Mint Explore Air 2 Shimmer Bundle. As always, I love how you guys support the amazing partners who support this blog, and all content is my own. 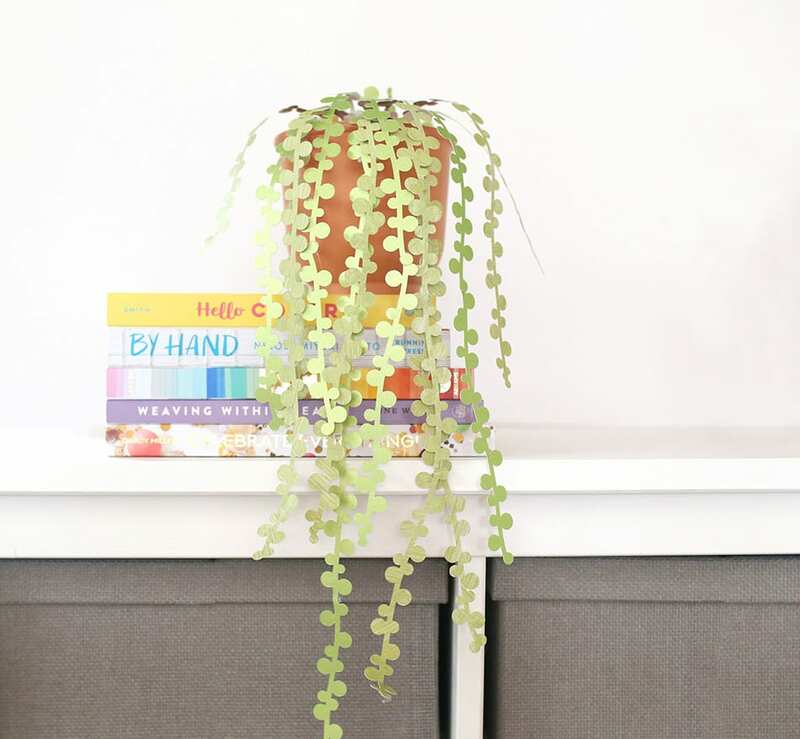 Have you ever seen a string of pearls plant? It’s this amazing succulent that cascades down like jewelry, and I love them. 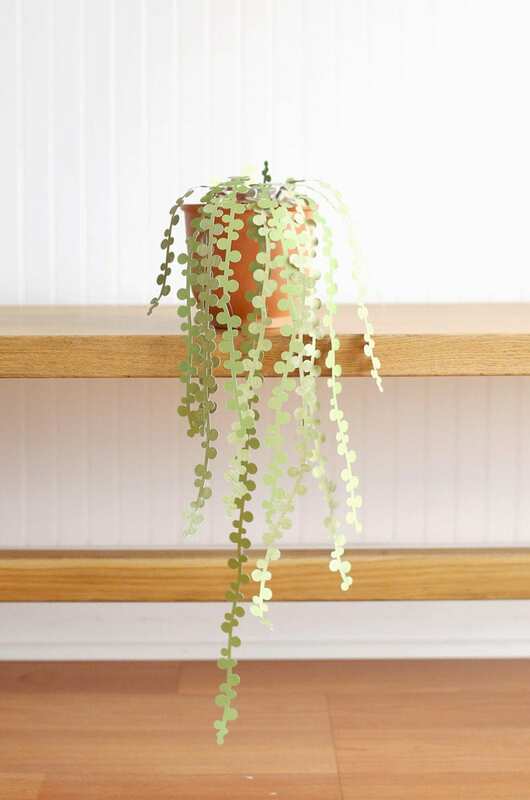 You’re in luck, though: I hand-drew a string of pearls plant and turned it into an SVG file that you can download for free to make your own paper plant that will *never* die! I promised you a great deal on a new Cricut, didn’t I? 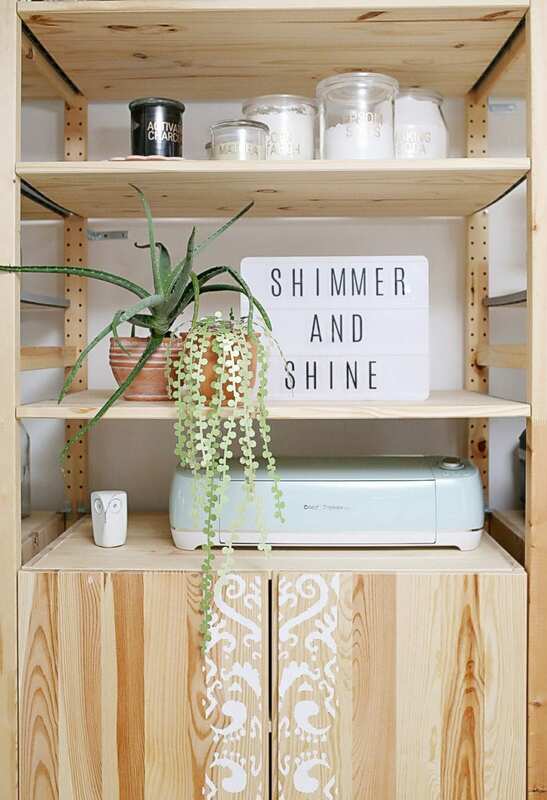 Real Talk: Do You Actually Need a Cricut? 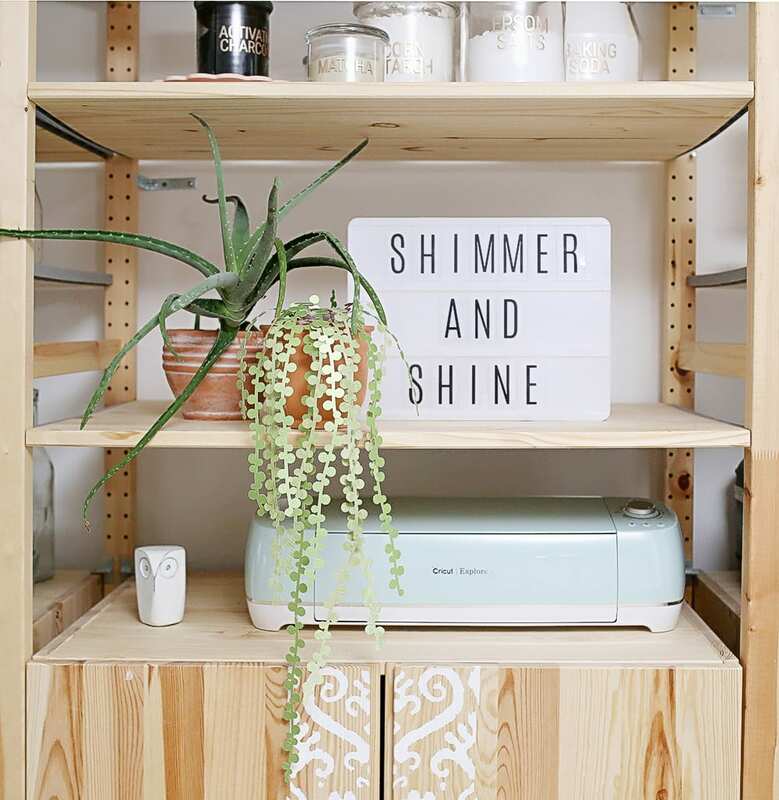 If you’ve been on the internet anytime in recent history, you’ve likely seen dozens – if not hundreds – of projects created using a Cricut. You might be on the fence because, let’s be honest, it’s a lot cheaper to just get a really nice pair of scissors, right? You can make huge or complicated projects in a fraction of the time. My Cricut cut out all these super-detailed plant strands with just a couple minutes of setup while I work on the rest of the project in the background. 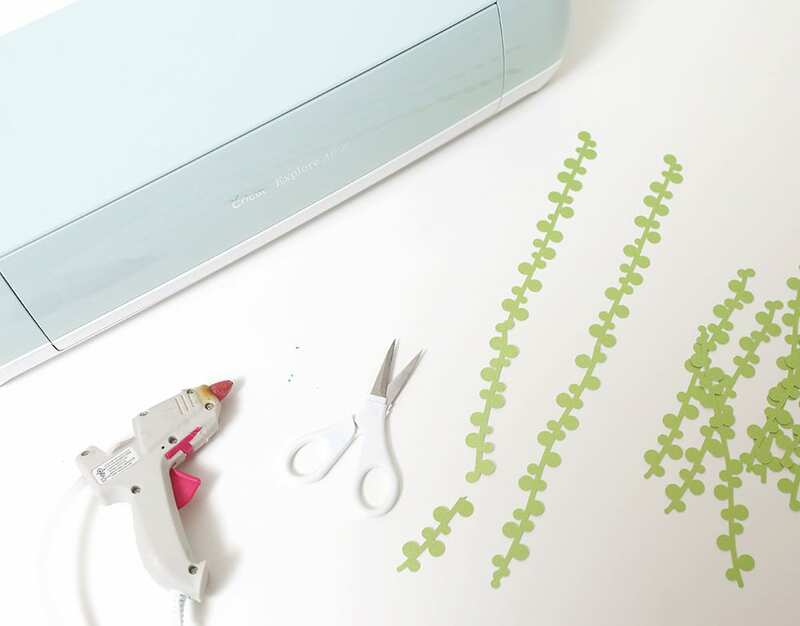 You can cut things that scissors won’t work for: Complicated designs with lots of little holes in them, like fancy lettering; Iron-on vinyl or vinyl decals that have lots of separate pieces. You can create custom designs. You can type up – or even hand-draw – your favorite phrase and have custom t-shirts within the hour at a fraction of the cost of having them professionally printed. Make multiple identical items. If you’re making a bunch of something, you’re bound to have variations if you’re cutting with scissors. With a Cricut, every single piece will be identical! 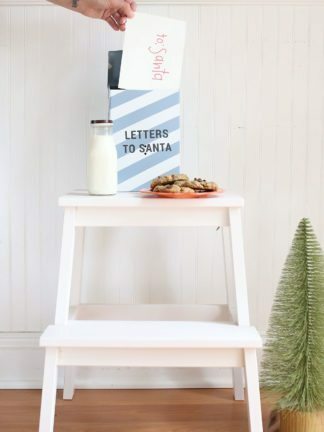 Create heartfelt personal gifts that will be remembered forever. You can make so many different things, from handmade greeting cards to wall art or even plants! 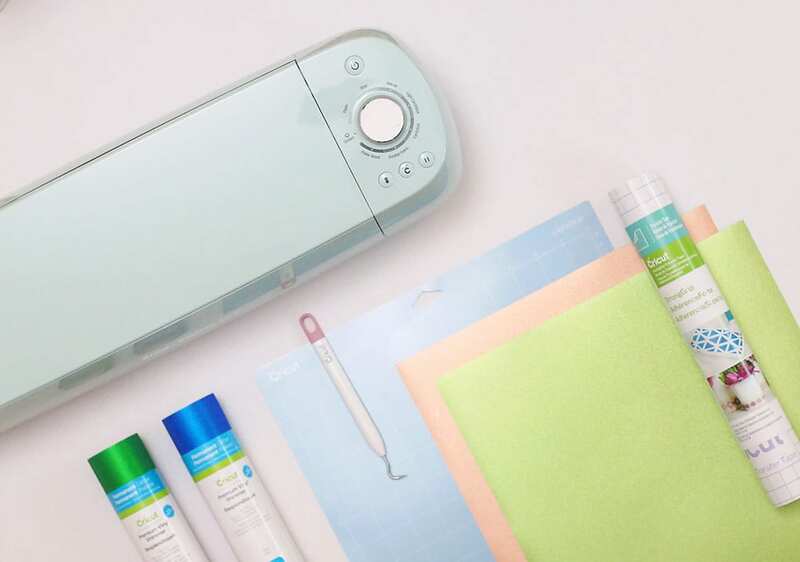 This month only, you can get the Cricut Mint Explore Air 2 Shimmer Bundle, a QVC Weekly Special Value, for just $269.99. It’s a $55 savings, plus shipping is free during the month of March. PLUS new QVC customers can save an additional $10 with the code TEN4U. I know it’s a big investment, so if you can’t spring for the $269.99, you can do 6 Easy Pays of $45! 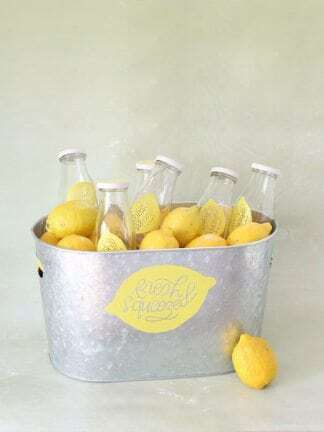 What in the box: The bundle includes the Cricut Explore Air 2 machine and cords, a cutting mat, a Cricut pen and weeder tool, two rolls of shimmer vinyl, a roll of transfer tape, and a pack of 12×12 Shimmer Paper, all full-size. You can literally start making just about any project right out of the box with this bundle! P.S. 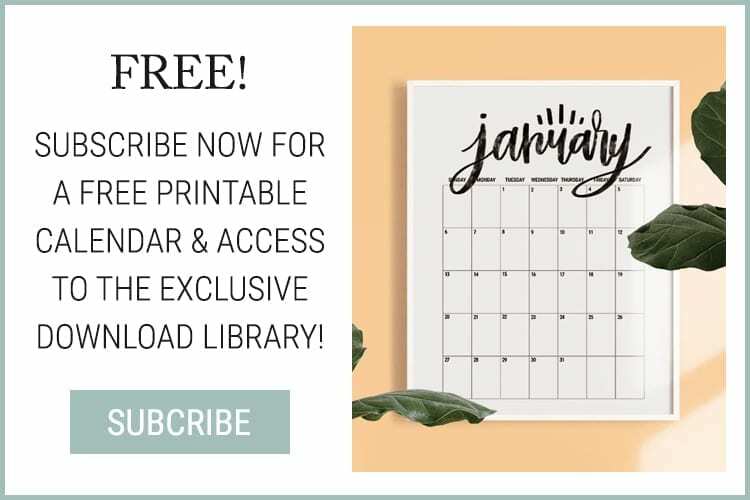 The Cricut Mint EasyPress 2 is on special this month, too! Save This for Later: Pin It! I’ve made a ton of projects with my Cricut over the years. Here are a few of my favorites to get you inspired and show you how many different things you can make! *These all come in the Cricut Mint Explore Air 2 Shimmer Bundle. I swear paper succulents are the new air plants, okay? I’ve seen lots of paper succulents, but I’ve never seen this kind. 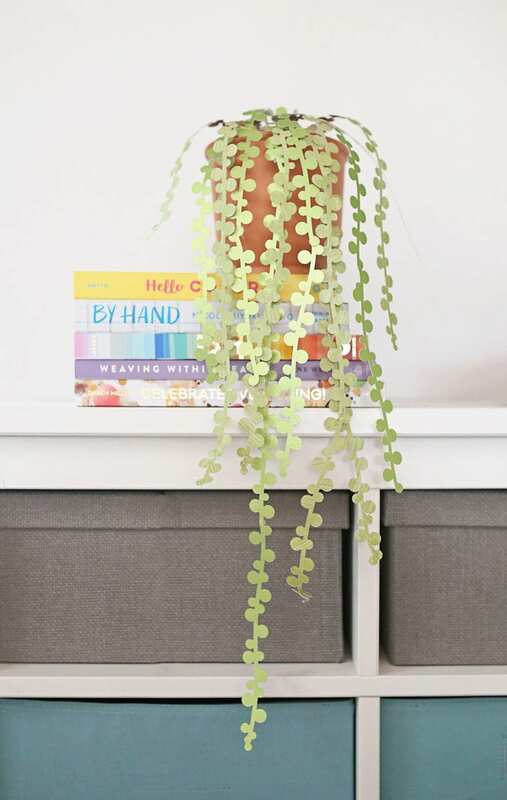 This paper string of pearls plant would be such a nice housewarming gift, don’t you think? 1. Download the free string of pearls paper succulent template I drew for this project. 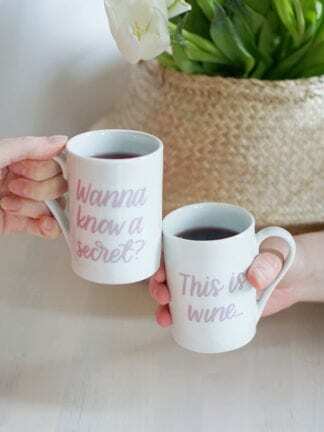 Upload it into Cricut Design Space, and size it for your pot. My strings were each approximately 1″ wide by 7.25″ tall. 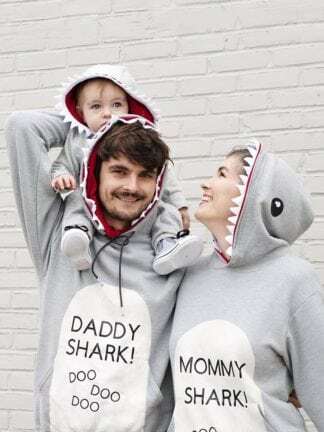 Cut it out on your Cricut. 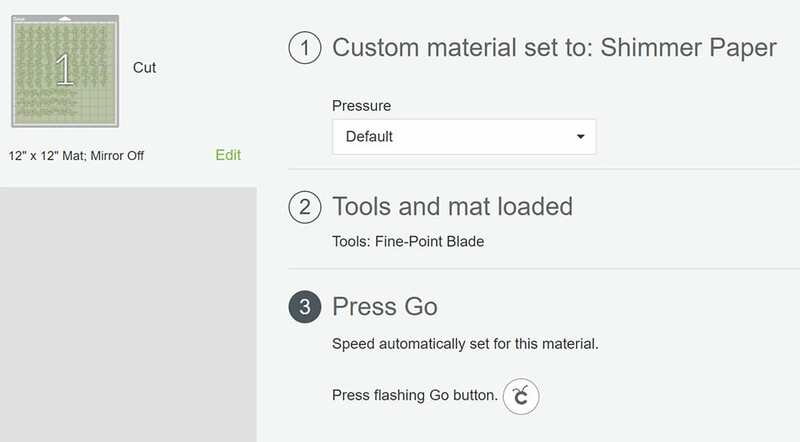 For the Cricut Shimmer Paper, you’ll need to use the custom Shimmer Paper setting in Cricut Design Space since it’s heavy. You can use the standard dial setting for the light cardstock. 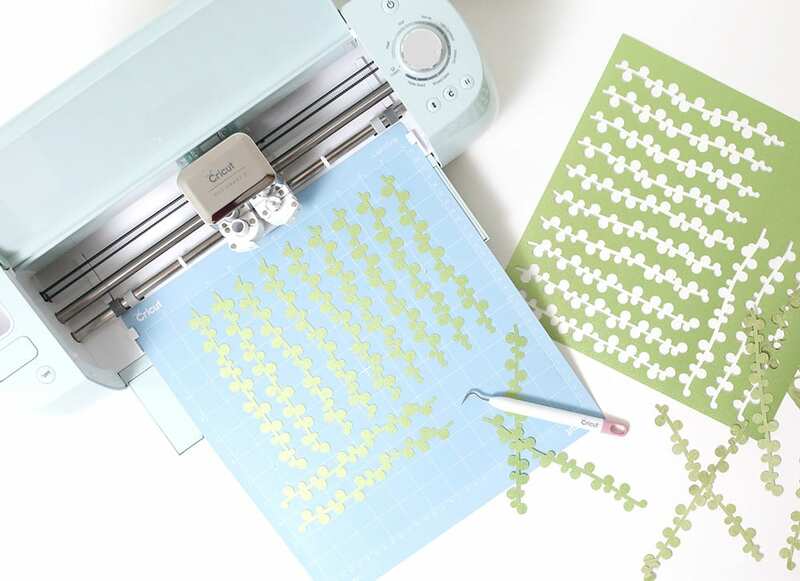 The Cricut walks you through every step starting in Cricut Design Space. Once you have all your settings right, it will have you feed the mat into the machine. Then, you just press the cute little Cricut “go” button on the machine. The Cricut will start cutting all over the paper, and you’ll see the progress in Cricut Design Space. Tip: Before I use my nice paper or vinyl, I like to cut a test of the design on cheap paper. Sometimes I’ll realize the design is way smaller or larger than it looked on my computer screen. This way I can adjust before using my nice paper or vinyl! 2. 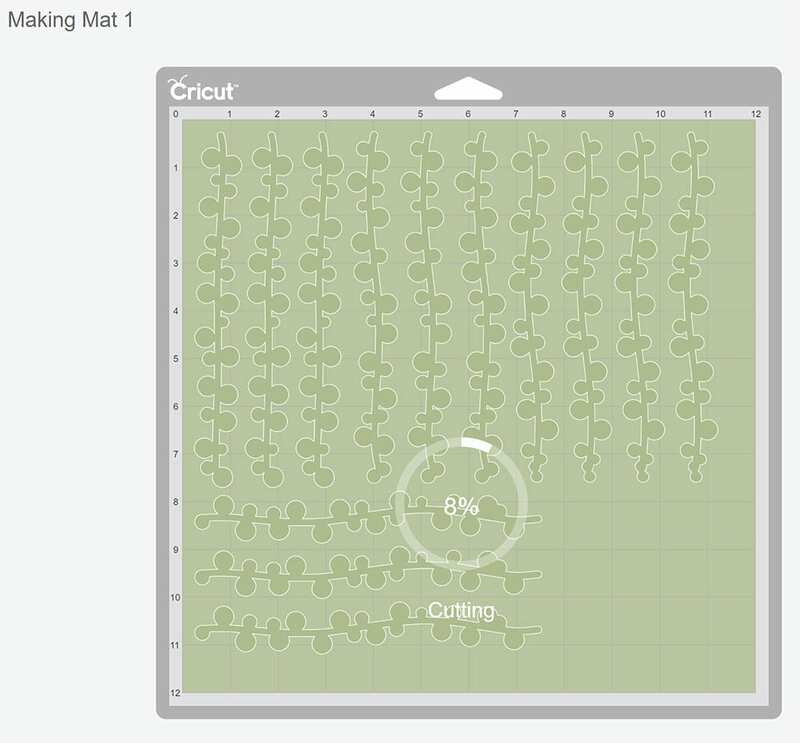 Carefully weed the design off the cutting mat. Use the weeding tool to gently lift the plant strings. Tip: Pull the strings straight up a little at a time to keep them from tearing or curling up since they’re so thin. 3. Join two strings together using a dot of glue to create extra long strands. For variety, leave some as single strands, and trim some of the longer strands a bit. 4. Use a dot of glue to attach strands inside the lip of the pot. Keep adding strings, layering the two different papers for depth and visual interest. 5. 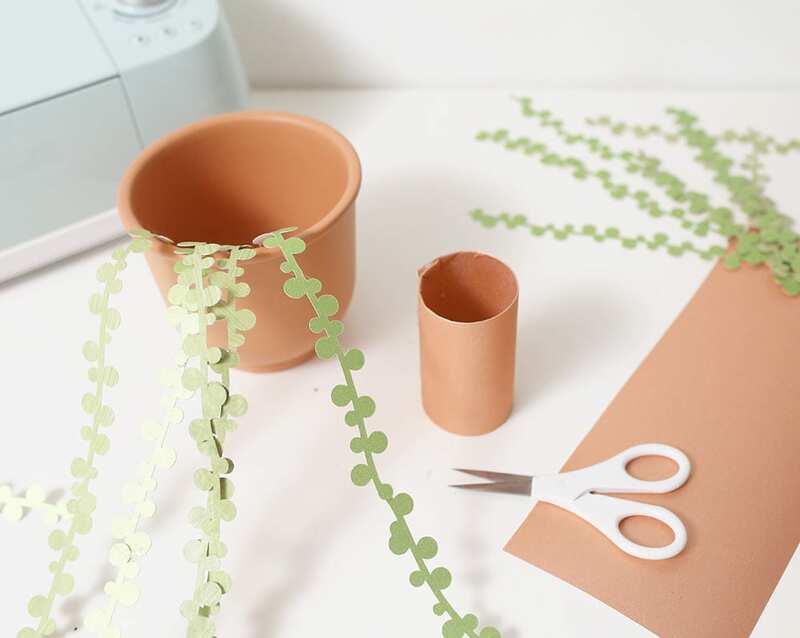 Make a skinny cylinder out of terra cotta-colored cardstock, and hot glue it into the inside base of the pot. 6. Glue strings inside the lip of the cylinder and along the back of it. This will give the fuller, mounded look you see with a live string of pearls plant. Snip a few short strings, and glue them to the back of the cylinder and inside the back lip of the pot for an even more natural look. 7. Curl up the ends of a few of the strings and hold for a moment to curl them so that they don’t all hang perfectly straight. 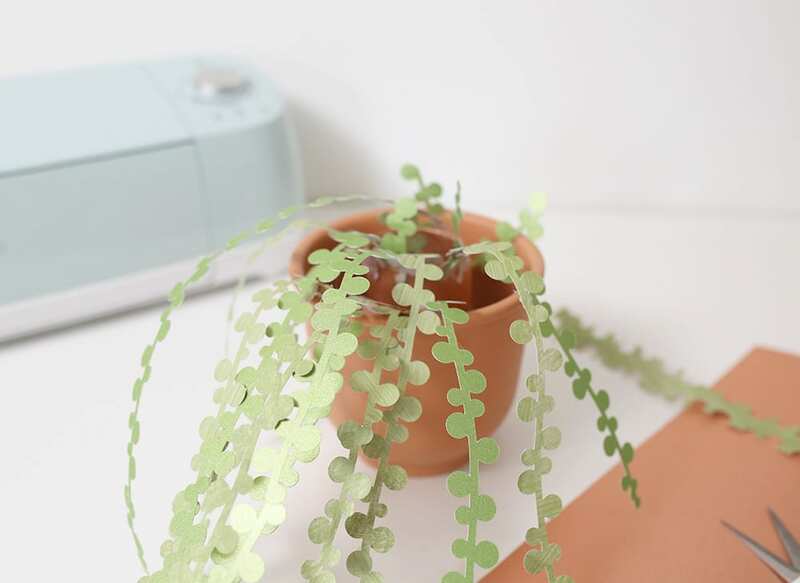 Giiirrrrrlllll, I LOVE this gorgeous paper plant! It is absolutely beautiful. I’ve been wanting to get a Cricut for a while and this is giving me more motivation to jump the in. So so good!